All Required Transportations & Sightseeing As Per Above Listed Trip Itinerary. Parikarma (Circuit) By Drive . Cost Per Person Indian Citizen: Inr 22,000. Cost Per Person Nri (Foreign) : Us $. 600. Arrival At Kathmandu Transfer To Hotel, Meal Plan. Drive Kathmandu To Kodari After Immigrations Drive To Nylam (3700M) Or New Route To Rasuwa Gadi (7Hrs Drive 170Km)), After Immigration & Customs Formalities On Both Sides (Nepal & China). We Drive To The Small Town – Kerung O/N Hotel (3700M). Meal Plain. After Breakfast Drive To Dongpa 250Kms (4500M) Enjoy Grand View Of Mt.Shishapangma (8021Mt High) Gauri Shankar & Other High Mountains From Gurung –La Pass (5050Mt.High) Dongpa. Meal Plan. 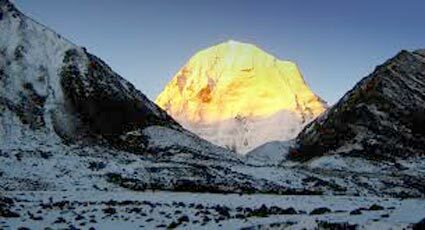 Drive To - Lake Manasarovar 385Km (4500M).Very Auspicious Day For All People Who Will Have First Glimpse Of Holy Manasarovar & View Of Mt. 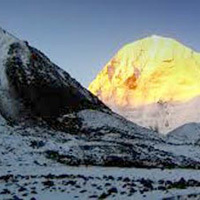 Kailash From Horchu Pass. Overnight Stay Lodge At Chhu Gompa At The Shore Of Lake Manasarovar. Meal Plan. Drive Back To Kerung, Meal Plain. Kerung To Kathmandu Transfer To Hotel, Meal Plain. Departure Transfer To Kathmandu Airport, Meal Plain Trip Concludes.